The Singleton has released a 40-year-old Glendullan expression, the oldest ever bottled by the Speyside distillery, as part of the brand’s Forgotten Drop series. 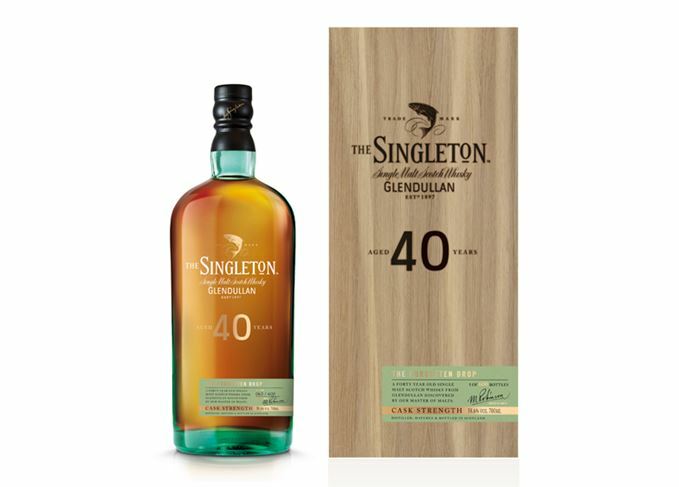 The Singleton Glendullan 40 Year Old single malt has been aged in refill American oak casks, bottled at a cask strength of 58.6% abv and will retail for around £1,900 (US$2,300). The whisky is said to offer a twist on the distillery’s ‘signature sweet vanilla and orchard fruit flavours’ with a spiced, lightly salted oak finish. Only 600 bottles will be released, available to buy exclusively in Taiwan and Singapore Changi travel retail outlets. The Forgotten Drop series is a selection of limited release single malts from The Singleton’s distillery family, which also includes Dufftown in Speyside and Glen Ord in the Highlands. A 41-year-old Glen Ord expression was released in 2017 under the Forgotten Drop banner, another 600-bottle limited release only available in Asia. Future releases of The Singleton Glendullan in the Forgotten Drop series will be available exclusively in travel retail. Diageo has revealed ambitions to develop The Singleton into the world’s leading single malt.